When you're deep in a major tournament and closing in on the lion's share of a 133,000 prize pool, the worst thing you can do is tamper with an opponent's chip stack; even if it's just in jest. 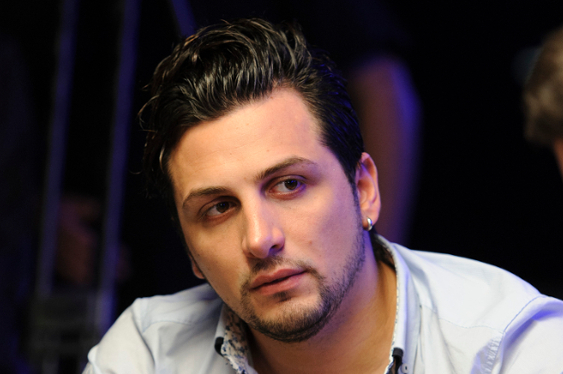 However, this was a mistake Gaetano Preite made late last week during the People's Poker Tour main event in Malta. After making it through to Day 3 of the tournament, Preite was riding high on the crest of a wave and just before the end of the day he decided to play a prank on his friend by secretly moving a stack of his chips across the table. Despite being an innocent move, things quickly went sour after Preite left the table for a brief moment and when he returned he realised the player he'd pranked had already bagged up his chips. With confusion setting in, Preite rushed to inform the tournament director of the mistake and quickly found out the messing with someone's chips isn't a good idea. Despite explaining the situation, Preite was disqualified from the tournament for violating the rules according to a comment from the tournament's organisers. After being informed of the decision, Preite took his frustration to Facebook to explain why he wasn't allowed to compete on the final table despite making it through with enough chips. "I know I have risked too much for a stupid joke and I respect the decision taken by the event's management but I also think they have been too strict," wrote the Italian. "They know my personality and how professional I am as a player. Therefore, I am sure we could find a 'lighter' sanction to punish my behaviour." Unfortunately, Preite's pleas weren't answered and he wasn't able to compete in the finale all because of a silly joke.